When you're investing in a bag it's important to find the right one for you. There are so many styles with so many functions but which one is the one for you? It of course depends what you want it for. Multi-functionality, travel, style? Personally, I'd like my next bag to be all those things but what style of bag ticks all those boxes? And for you? What are you looking for? I've written a simple and (hopefully) useful guide to help you figure out what your next leather bag should be. This is the perfect bag for the working man or woman. Most are wide enough to fit a 15" laptop, have big, spacious pockets to not just your laptop but your books and whatever else you need with you. The satchel is a typical working bag and so has a professional style to them depending on which one you're after and how many pockets you like. I'm actually looking for a satchel for work next year and thinking about a Cambridge Leather Satchel bag in black or a light tan. I think they look simple, classic and could fit well with a lot in my wardrobe as well as being a great professional working bag. I want to get a 14" or 15" when I do for space (which I will need). If you're looking for a professional looking everyday bag for work, this is probably what you'd be looking for. This bag is perfect for many things. If you're looking for something to take your things to the gym, or you need a weekend or travel bag this is for you. Most duffle bags have a classic cylinder style with grab straps which makes it easy to use and a more casual look. Duffle bags don't usually come in leather as far as I know but I've seen some great ones and was actually looking for one for John to use both for the gym and for weekends as they suit him best and would last longer in leather. These bags are pretty versatile so if you're looking for a big bag you can throw in the boot of the car with a change of clothes and anything else you may need for wherever it is your going, this could be for you. 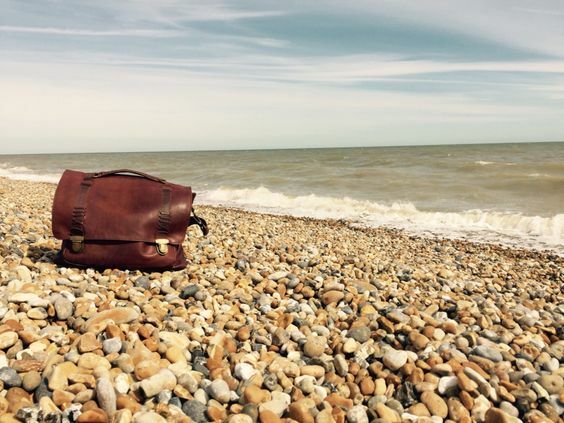 Holdalls are a stylish yet practical bag for travel. Like the duffle bag it is great for a weekend or travel bag. To me it looks a little smarter than a duffle bag so it would be perfect for business travel too. It's of course big enough to fit all the essentials to travel light and I'm sure it's suitable for cabin baggage if you're thinking about travelling with it. Personally this is the bag I'm looking for. Not only is it suitable to replace my last weekend bag (which unfortunately broke during my last break away), but it would be suitable for those days where I might have to take a lot with me to work. I'm a fan of The Galley from MAHI Leather for it's satchel-like style, side pockets and I particularly like it in the black too. Last but not least there is the backpack which personally I find can be stylish, casual and smart and versatile for many uses. For something completely hand-free, great for travelling and something stylish a backpack could be for you. It's super practical and a great alternative to your usual bags like the satchel or the tote. The classic backpack is usually a regular canvas backpack with a zip for a more casual everyday look and great to use for maybe school, hiking or even as a gym bag in canvas or you could go for something that's a bit more in style at the moment in leather. There have been lots of brands making beautiful pastel leather bags that could be more your style like Primark who I've seen have a great collection of backpacks at the moment from YouTuber's Primark hauls! I love these and would love one in a pink or white one for days out. The Primark ones will be faux leather for those who aren't really a fan of leather or prefer something a little more on the cheaper side of things but still great quality. Also the Grafea ones are beautifullll - especially this one! So, what type of bag is for you? 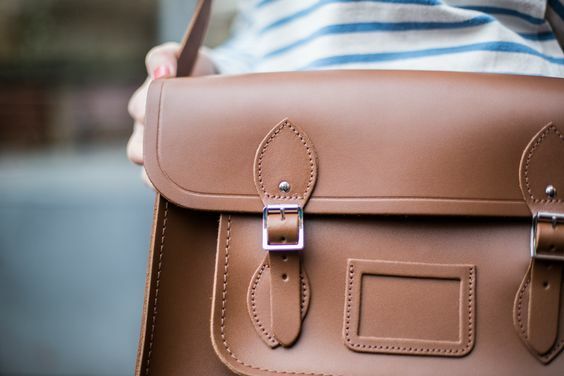 If you need some more help, MAHI Leather have a great post on their blog to guide you into picking the right leather bag for you. they go into some great detail including price, longevity, strength and finish which are all, of course, very important factors when picking a bag to invest in. Let me know in the comments what you would go for and what colour. I'd get my initials embroidered in mine too. I always thought I'd get 'CAT' on mine but I'd much rather like my initials 'CCL' now.﻿ What would you get? I hope you're all having a beautiful Bank Holiday Monday too! TWITTER | INSTAGRAM Title photo source: MAHI Leather Pinterest This is a sponsored post. The hold-all bag would be perfect for me as I love a lot of room for a carry on bag that fits in all my stuff and keeps it safe. Especially if I have my camera in there!